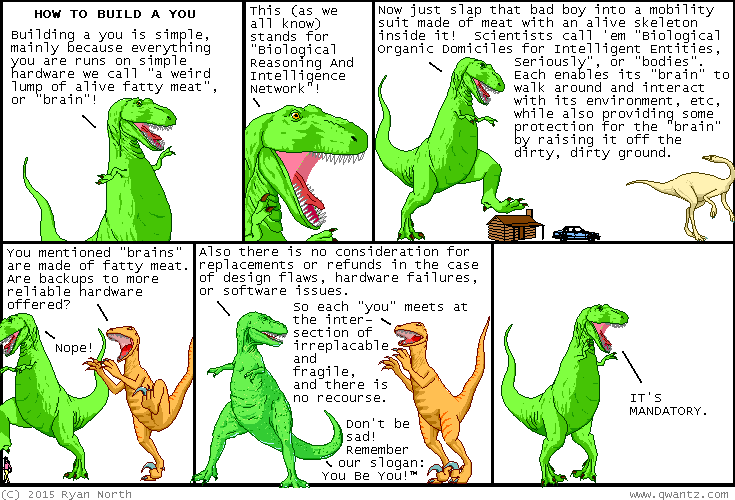 Dinosaur Comics - May 13th, 2015 - awesome fun times! –Remember: nobody's allowed to take candy from strangers for another full year! May 13th, 2015: Hey guess what! A bunch of my discontinued shirt designs are now RE-CONTINUED, thanks to a new site called T Shirt Diplomacy, which also has... aliens designing shirts too? And friends! And this INCLUDES the Professor Science shirt!